Juice cleansing is an incredible way to gain energy, lose weight and turn back the clock. But did you know this lifestyle can help us reach new levels in human growth and potential? Find out with our special guest author and visionary leader David Rainoshek. 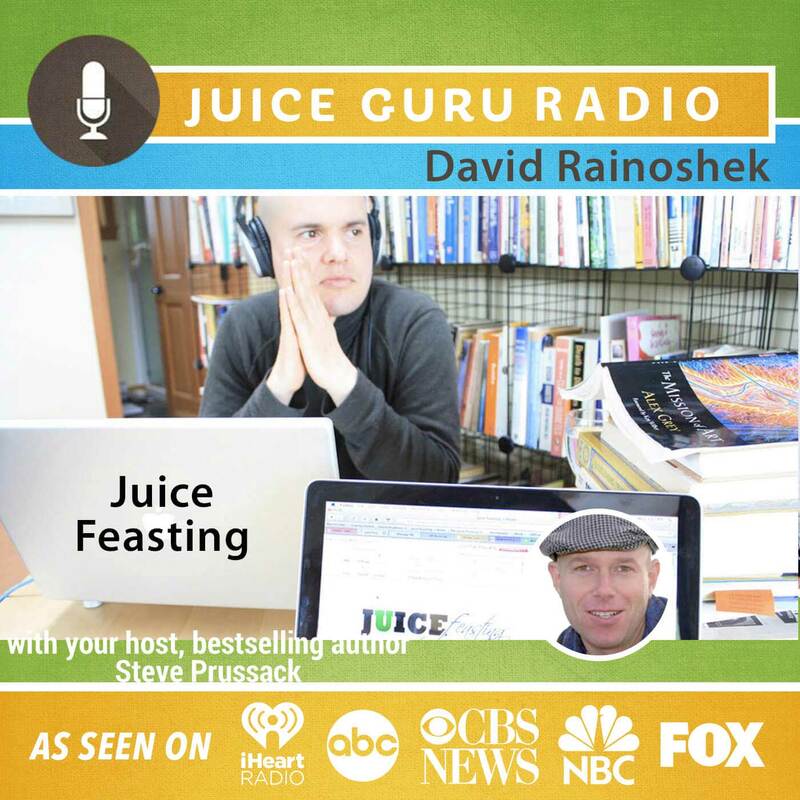 David Rainoshek is the co-creator of the 92-Day Juice Feasting Program at JuiceFeasting.com with his wife, Katrina, and coaches 92-Day Juice Feasts for clients worldwide, and teaches about Juice Feasting and evolutionary transformative nutrition. David is a professional coach, researcher, author, and speaker. In 2006-2008 he served as Research Assistant to Dr. Gabriel Cousens MD for the book There is a Cure for Diabetes. As leading Research Assistant, David served as head juice fasting coach, and taught the 10-week nutrition education classes to kitchen and garden apprentices at the Tree of Life Rejuvenation Center in Patagonia, Arizona in 2006-07. Over his career, Rainoshek has taught hundreds of thousands through personal coaching, books, articles, lectures, interviews, online research programs, and webinars. David Rainoshek is also the author of B-12 Exposed; We are All Fukushima: An Integral Perspective on the Meanings and Promises of Disaster; How Facebook is Altering Your Mind; and HyperLearning: A Revolutionary Approach to Learning in the Integral Age.